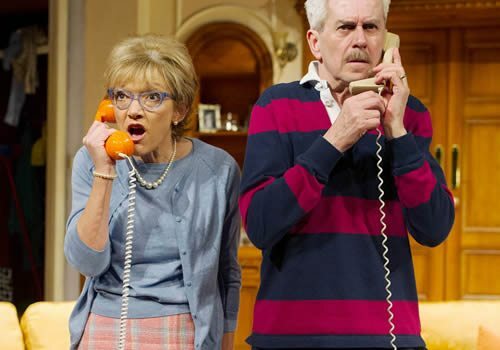 Alan Ayckbourn’s farcical tale of marital misunderstandings returns to the West End for the first time since opening at the Lyric Theatre in 1970. Following on from another revival of a comedy, Bad Jews, How the Other Half Loves will open at the Theatre Royal Haymarket on March 31st, with previews beginning March 23rd 2016. 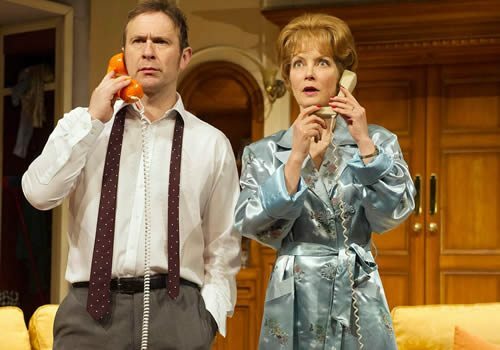 Written in 1969, Ayckbourn’s hilarious and equally heart-wrenching comedy ran for an extraordinary 869 successful performances at the Lyric Theatre and is widely regarded as one of his most popular plays, delighting both audiences and critics. 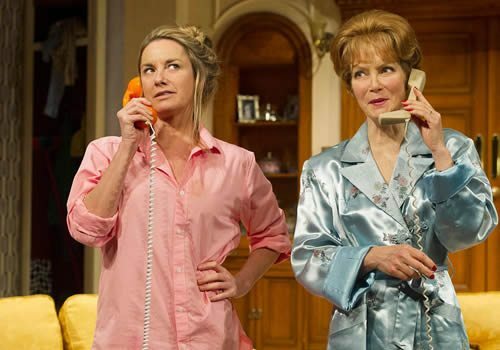 How the Other Half Loves later became Ayckbourn’s first play to open on Broadway. Directed by Alan Strachan, How the Other Half Loves is a classic comedy of mishaps which revolve around two separate dinner parties. Frank and Fiona Foster share a polite and distant relationship, whilst Bob and Teresa Phillips are in a constant heated debate. Little do they know that they are all engaged in affairs – with each other! Swearing their partners to secrecy, each couple implicates William and Mary Featherstone in their alibi, not realising that this will lead to jeopardising accusations of adultery. A classic comedy of lies, chaos and crazy couples, Ayckbourn’s tale of social graces promises to be hugely entertaining. How the Other Half Loves stars Nicholas Le Prevost (People) and Jenny Seagrove (Judge John Deed) as the Fosters, Jason Merrells (Emmerdale, Safe House) and Tamzin Outhwaite (Sweet Charity, New Tricks) as the Phillips, and Matthew Cottle (Citizen Khan) and Gillian Wright (Eastenders) as the Featherstones. 2016 marks Alan Ayckbourn’s 57th year as a playwright, with 80 plays to his name. Previously the Artistic Director of the Stephen Joseph Theatre in Scarborough, most of his work continues to premiere there. Recently, Ayckbourn was inducted into the American Theatre’s Hall of Fame and he received the 2010 Critics’ Circle Award for Services to the Arts. Ayckbourn also become the first British playwright to receive an Olivier and Tony Special Lifetime Achievement Award. How the Other Half Loves is produced by Bill Kenwright, who was behind the recent revivals of The Wizard of Oz and Dreamboats and Petticoats, with costume designed by Julie Godfrey. 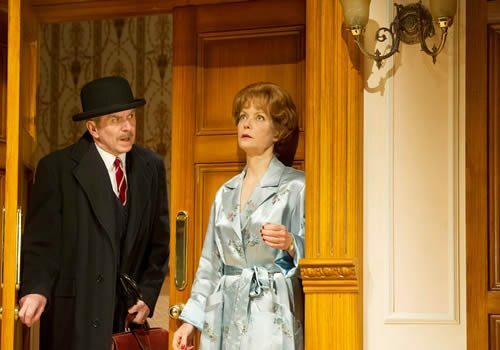 Opening at the Theatre Royal Haymarket on March 31st, this classic comedy is set to run until June 25th 2016. This is a classic comedy that is suitable for all ages, although small children may not understand the themes.